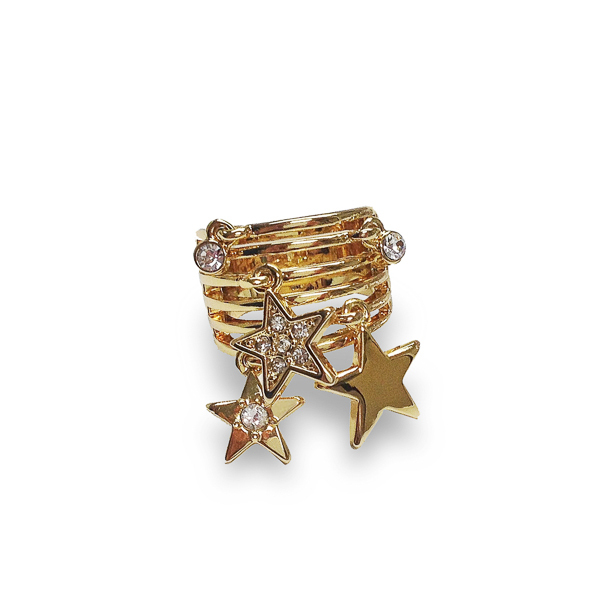 Description: High polish 14k gold plated ring with dangling stars and crystals on six tracks. Dancing shimmering little stars give a unique and fun look to a casual or dressy attire. Enter Quantity for R-AE064-YG to add to your shopping cart.